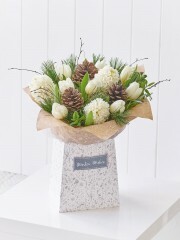 When people think of winter, Christmas always pops to mind but there are many other occasions which can occur during winter including wedding anniversaries, birthdays, congratulatory events and work functions as well as many others so this winter why not choose from the winter flowers collection at Edinburgh flowers. 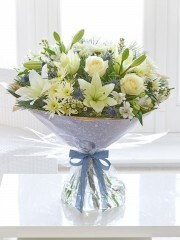 At Edinburgh flowers there is a wide selection of bouquets and arrangements to choose from to suit your needs. Winter flowers tend to be a little hardier due to the lower temperatures but that doesn’t make them any less beautiful or appealing. 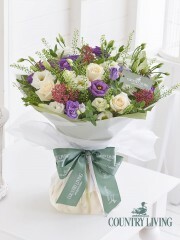 Edinburgh florists work with only the best flowers with have been imported all the way from Holland. 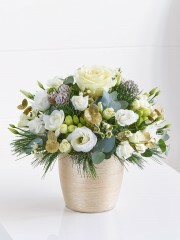 Holland is a region of the Netherlands and is renowned worldwide for the premium quality flowers cultivated there. 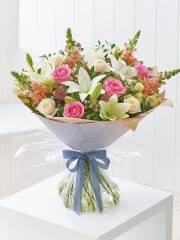 Combined with up to four deliveries per week, not only are the flowers of the highest calibre but they are also have a high longevity. This will ensure your flowers are fresh and last as long as possible so your recipient will be able to enjoy them for many days yet to come. 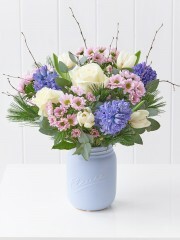 This range comes in lovely cool tones of creams, blues, pastel yellows and lilac hues so the bouquets and arrangements have a dainty appeal to them. 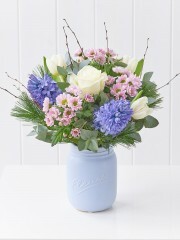 The Edinburgh florists have over forty years of experience when it comes to the floristry industry so you can be rest assured in the knowledge that your flowers are being arranged by experienced hands. The florists wrap up all bouquets - which are perfectly rounded and consist of a perfect balance of flowers, foliage and fillers - in complementary tissues, papers and ribbons whereas flower arrangements include a vase, box or basket of your choice depending on your preferred aesthetic. No matter how big or small your request might be, Edinburgh flowers will always do everything within our capability to fulfil all of your requests. 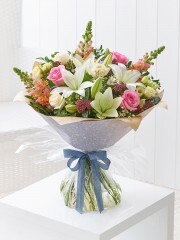 Once your order has been placed, all customers have the option to use one of the several flower delivery services on offer at Edinburgh flowers. 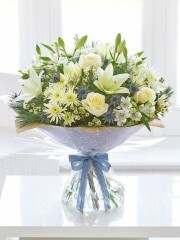 There are three particular flower delivery services available which are as follows: standard, next day as well as same day flower delivery services. All of these are available 9:00AM to 5:30PM, 6 days a week Monday to Saturday. 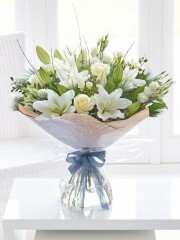 The next day flower delivery services allows you to place your order the day before the flowers are to be delivered which means that everything is taken care of for you within the space of two days. 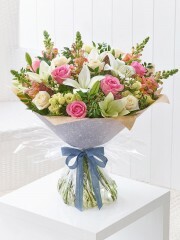 The same day flower delivery is particular handy for those occasions which have cropped up out of the blue, for those who are perhaps slightly more forgetful with dates than others or simply for those who like to surprise loved ones with a lovely bouquet of flowers every now and again. This service allows you to place an order and have it delivered on the same day. 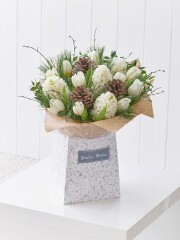 This means that the Edinburgh florists only have a very short amount of time to create your order in which is why, if you wish to use this particular flower delivery service, your orders must be placed before 3PM. 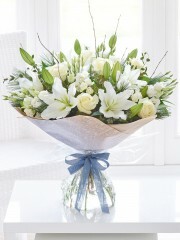 This is to give the Edinburgh florists enough time to arrange your flowers for you to the highest possible standard. Once your order has been placed, we want our customers know we take care of everything on your behalf so you don’t have to worry about a single thing.